The Black Pudding Fraternity of lovers of good food. 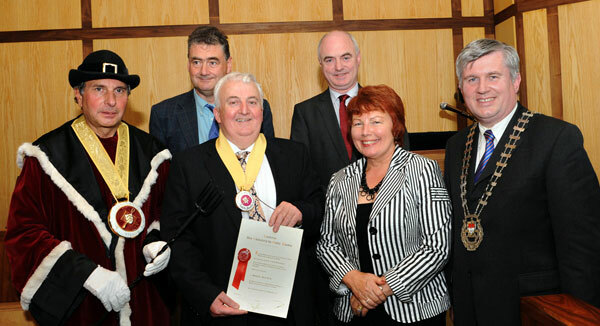 Sean Kelly, Kellys Butchers Newport, was inaugurated as a Member of the Fraternity at a reception in Aras An Chontae. Front L-R: Jean Claude Gotter, Kathleen Kelly, Ml Burke, Cathaoirleach, MCC. Back L-R: John Condon, Co Secretary, Peter Hynes, Co Manager. Photo Tom Campbell.